Huge extinct monsters and tiny garden minibeasts. Frozen polar lands and exploding distant stars. Mixing up-to-the-minute facts with cool photos and activities, this series gets you close to them all! These beautifully produced reference books have an interactive feel which captures the excitement of online surfing and swiping. The stunning interiors combine dramatic large-scale photos with quick-view fact files, profile boxes and other attention-grabbing details to stop off and admire. Roam through picture spreads frame by frame, fill up on fantastic facts or check out extra nuggets of information as you read. 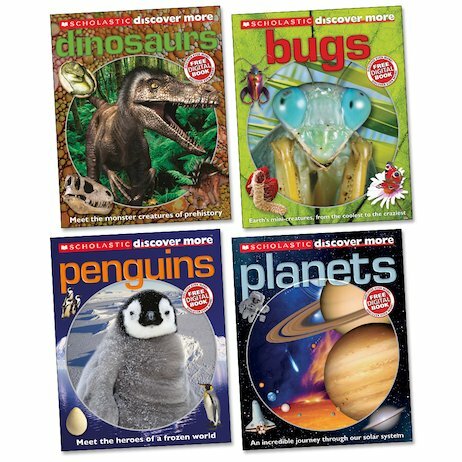 Packed with exciting discoveries and activities, with plenty more to learn online, it’s an unparalleled reading experience for confident, curious learners. 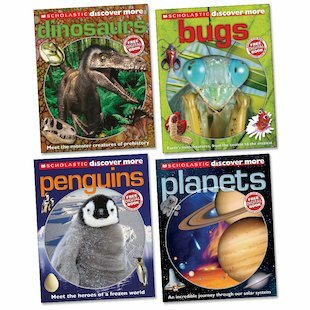 Each book includes a FREE digital companion book offering all-new information, pictures and activities.